Century Cycles Blog: Deagan's Bike Night starts TONIGHT! Deagan's Bike Night starts TONIGHT! Deagan's Bike Night was a blast year and now it's back, starting tonight and every Thursday until October 11! What's not to like about fun bicycling, great beers, delicious food, discounts for riding, and a chance to win an awesome Raleigh Cadent i8 bicycle from Century Cycles and Raleigh Bicycles? 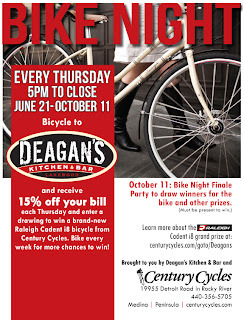 Just bike to Deagan's every Thursday for 15% off your food and drink bill and to enter for a chance to win a new Raleigh bicycle and other great prizes from Deagan's and Century Cycles. 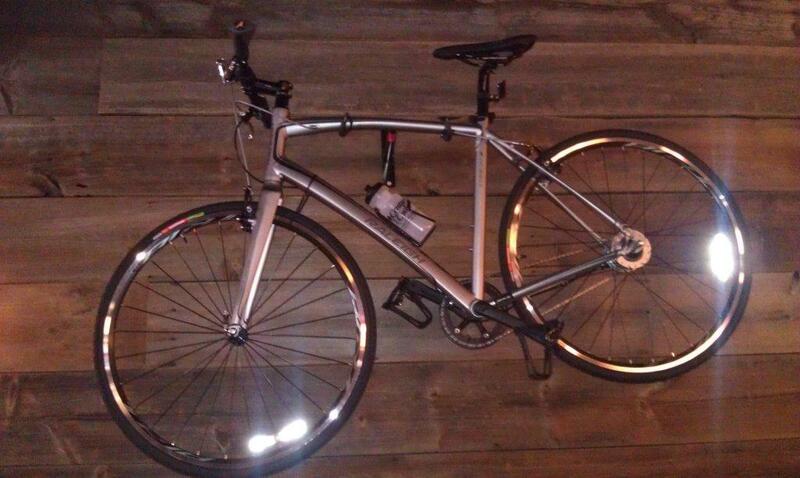 The grand prize Raleigh Cadent i8 bike is already hanging at Deagan's (see below), enticing the gastropub's patrons with its sleek gray aluminum frame and low-maintenance internal 8-speeds -- ideal for riding all over town, commuting to work or touring along Lake Erie. Get all the details at www.centurycycles.com/goto/Deagans, then get on your bike and get to Deagan's! Le Tour de France starts Tomorrow! First Medina Bike To School logs 13,171 miles!